It is official, July 30th 2008 marks the Needlefeed’s first birthday. It has been a long time coming with some up’s and some down’s. 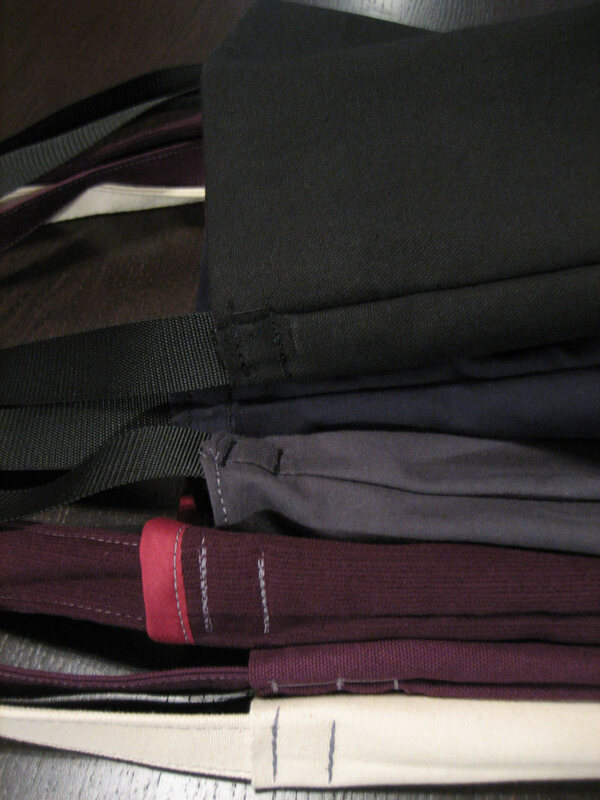 Or in’s and out’s – as the Needlefeed is no advocate of hierarchies. A little re-cap of some of the things we have seen this year are: 3-phase 220volt motors, treadle modifications, thread tension issues & re-issues, double tap feed mechanisms at Delta, service with a smile at Rivera’s, “messenger” bags, walking bags, cycling booties, Brother DB2-B791-015 instruction manuals & parts books, etc., etc. Of course the list goes on and on, and hopefully in the future it will be proven that this topic is in fact inexhaustible. 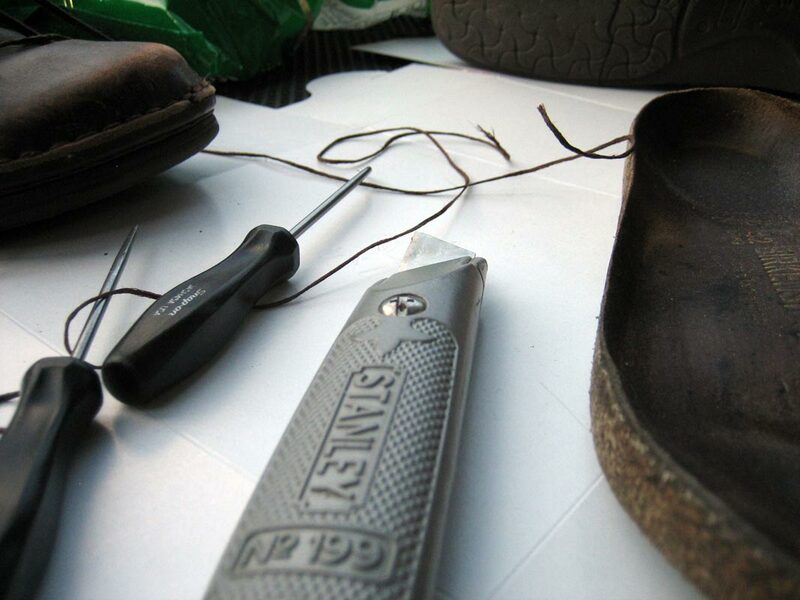 With more shoes on the horizon we will see the Needlefeed move into other topics of hand stitching patterns and the trials and tribulations of stitching by hand versus machine. 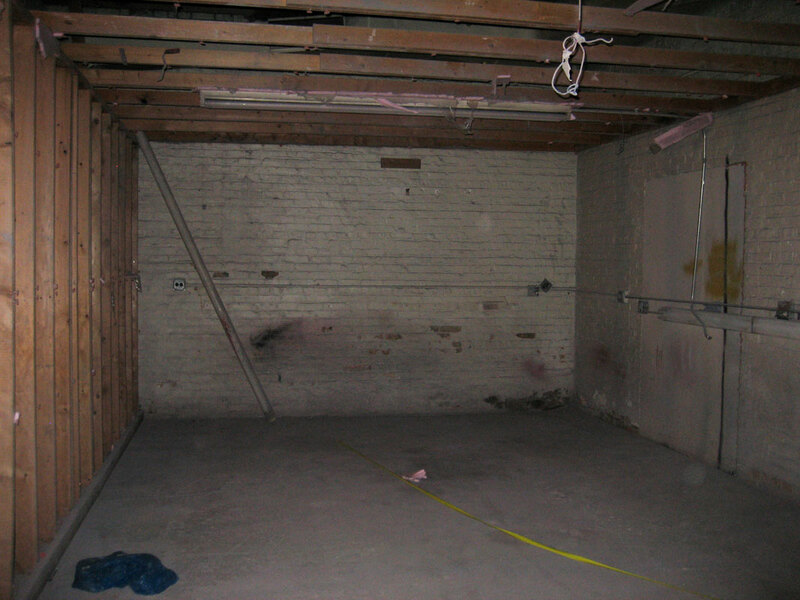 Another additional topic will be the Needlefeed’s soon to come new headquarters. 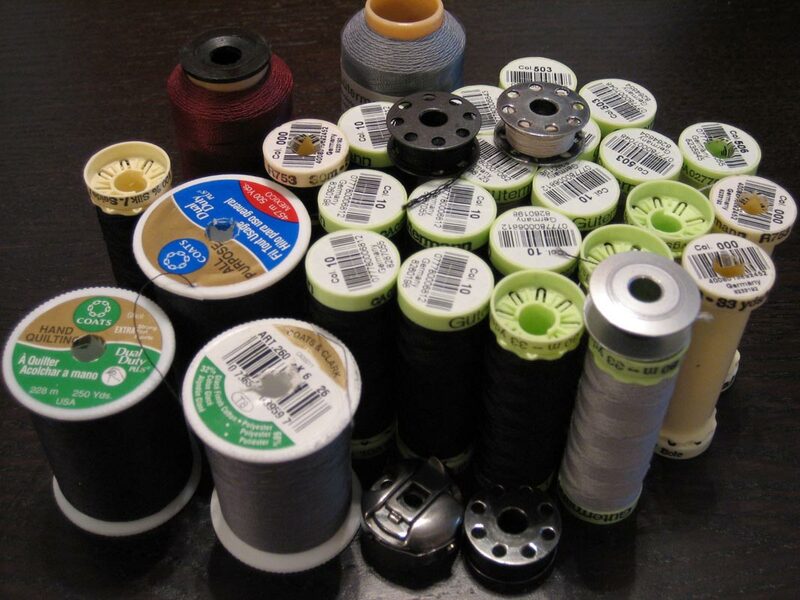 Yes, the rumors are true Needlefeed.com will be moving facilities to a new sight where dedicated table space will be available only to sewing affairs. In fact with this new horizon looming there may even be Needlefeed affiliates in the mix, but that insider news will not be released to the public as of yet, there are still contractual negotiations to be finalized. 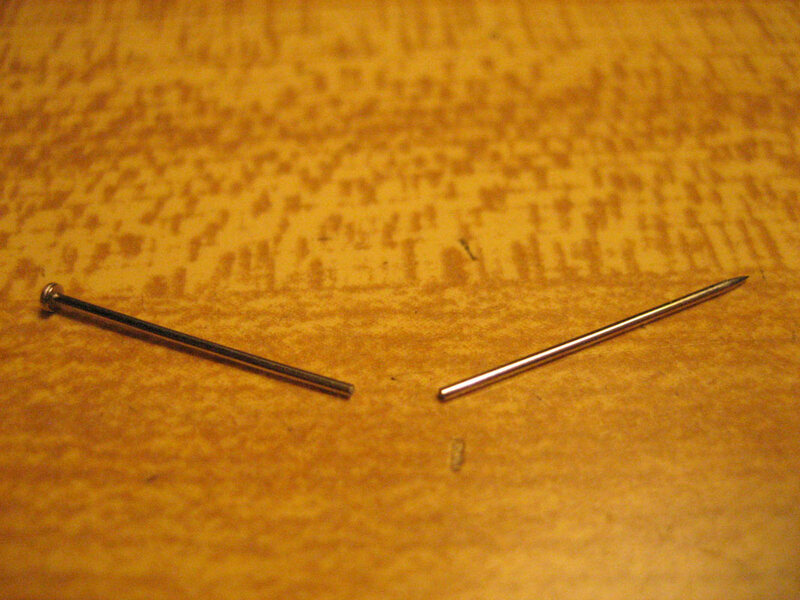 Some other ideas floating off in the ethos for the Needlefeed (and please don’t be bashful about sharing your opinions on this) are a Needlefeed shop where people can attain some of the products featured on this site, proceeds will go to maintenance of the site, the machines, and of course to making more product. Ideally the shop would be an auction based market place, however due to technicalities it may begin as a set price menu. Either way, the shop will remain via Interwebs, there will be no store front until much much further notice (meanwhile global shipping is available). 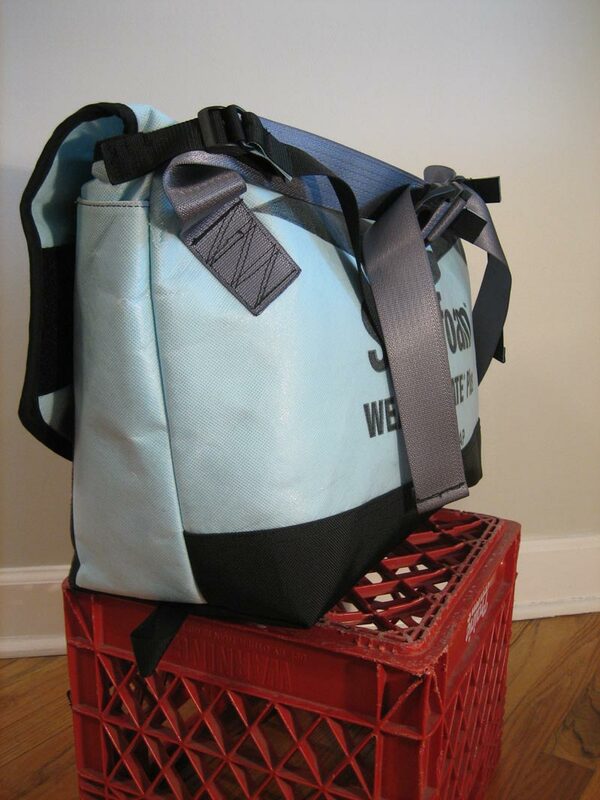 Also, the Needlefeed now accepts submissions of articles, essays, and anything-industrial.sewing.machine-related, through text documents. 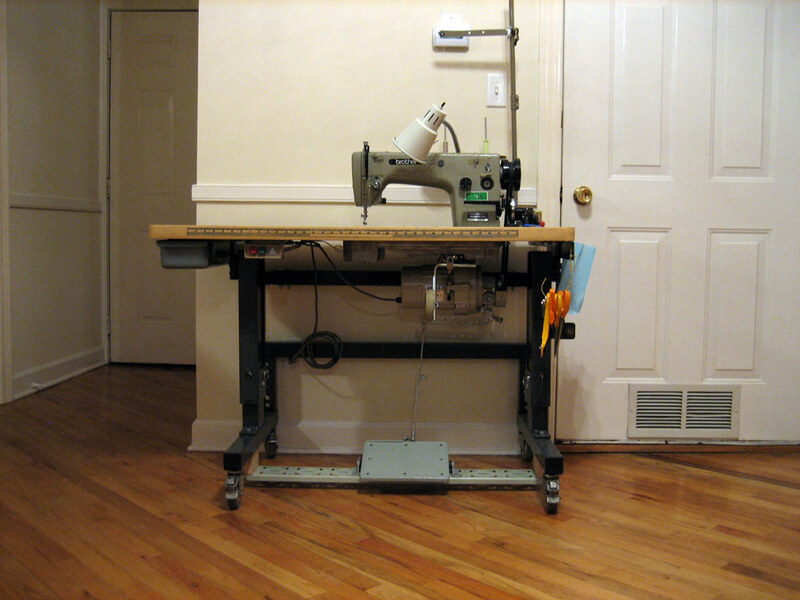 We will be setting up a more user friendly email system for this*, but if you have added insight to increasingly complex topics on/of industrial sewing machines, and a critical mind for how sewing can be a very broad topic please send a note (via the comments box for now) and let us know what you have. Please bear in mind that the writings will be weighed heavily, so please send your best work. Needlefeed, a year in pictures; highlights, outtakes, and sneak peeks. Of course Needlefeed.com would like to thank all of those who have supported, added comments & wisdom, and in general taken an interest in this somewhat wonkey thing. The site would not exist without all of your patronage. Also, without a doubt, the greatest and largest thanks go to the Brother. *Done. 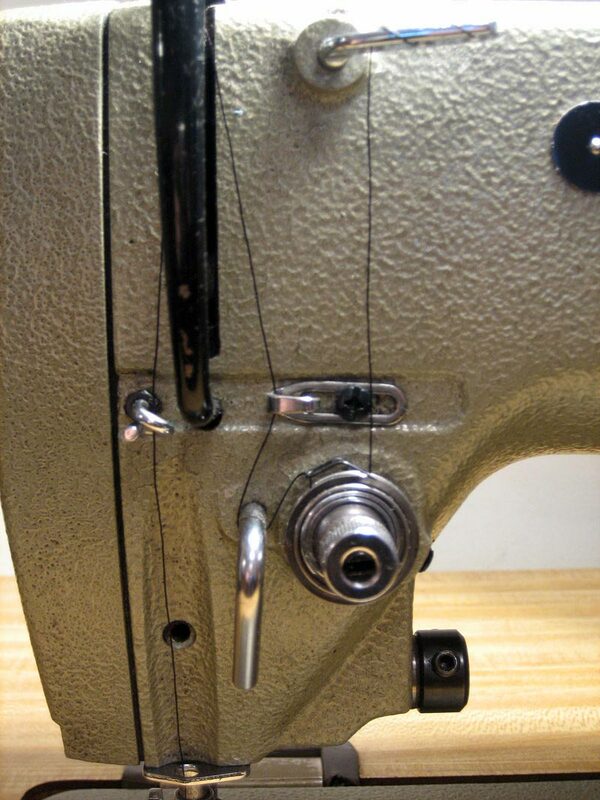 If anyone would like to submit written essays, writings, or any other type of critical text on the topic of industrial sewing machines, and/or industrious sewing, and/or preferred industrial machine shops in cities/locations that the Needlefeed has not been able to report on – please send it to needlefeed at gmail dot com. All contributors will be credited if desired. Thank you. 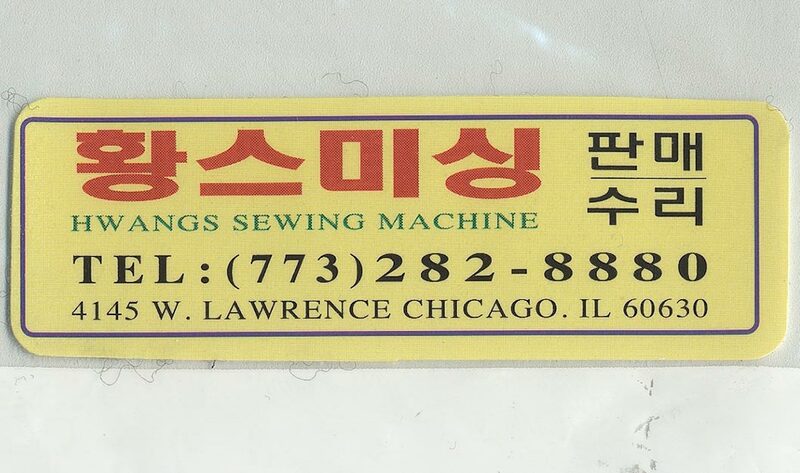 Here are a couple of visual updates to an old post that mentioned a few industrial sewing machine shops in Chicago Illinois. They are scattered about from the far south end of the loop, to the near northwest side. 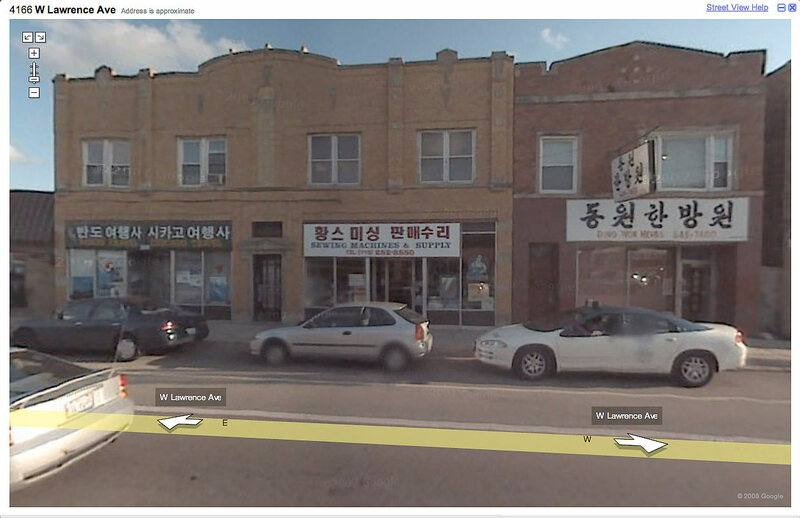 We’ll start with a few screen captures off of Google Maps, and then the appropriate business cards. 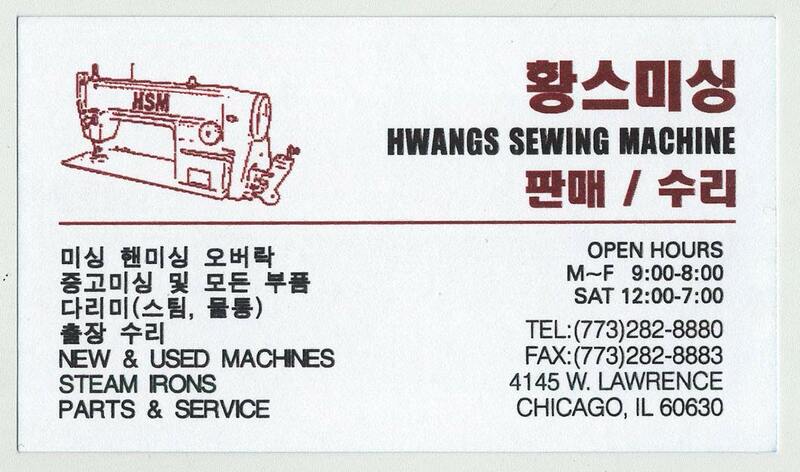 Hwangs Sewing Machine is a little shop on Lawrence just east of Elston ave. 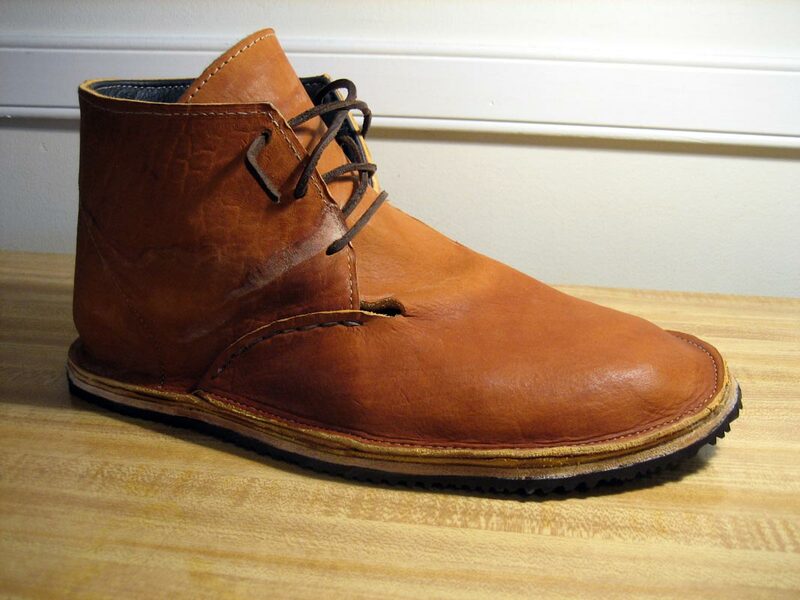 They have good and honest prices for thier industrial machines, but Presser feet were a bit costly. 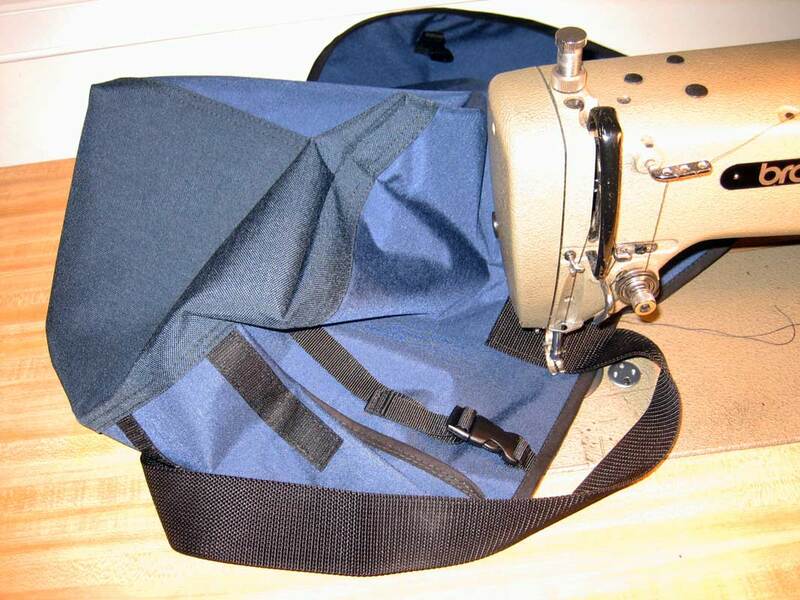 At least there are a lot of options to choose from; they had a perfectly smooth running Pfaff 145 for about $650, very clean bar-tackers, several manual and neumatic grommet/rivet setters, and plenty of more common-place straight stitch machines sergers, etc.. Call ahead to make sure they are open, as their hours are not entirely dependable, you may also need to ring the doorbell when you arrive. 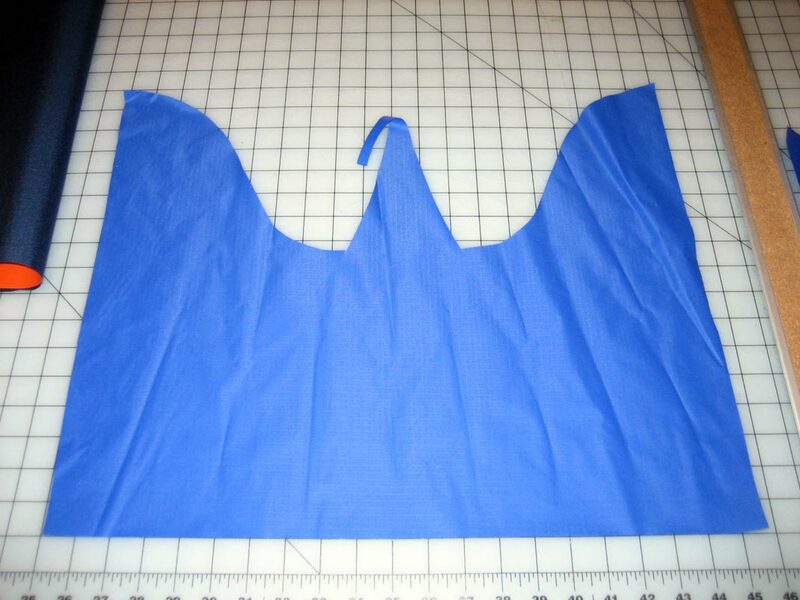 They do carry needles and bolt-on folders, but not much thread for sewing purposes, the only thread they had seemed to be for sergers. M.G. Sewing Machine Co. is an even smaller store front than Hwangs, luckily it is very organized and an effecient use of space. Although they buy and sell, and trade, all of the machines in the shop were new machines. The owner said that used machines are for sale, but on a limited basis. 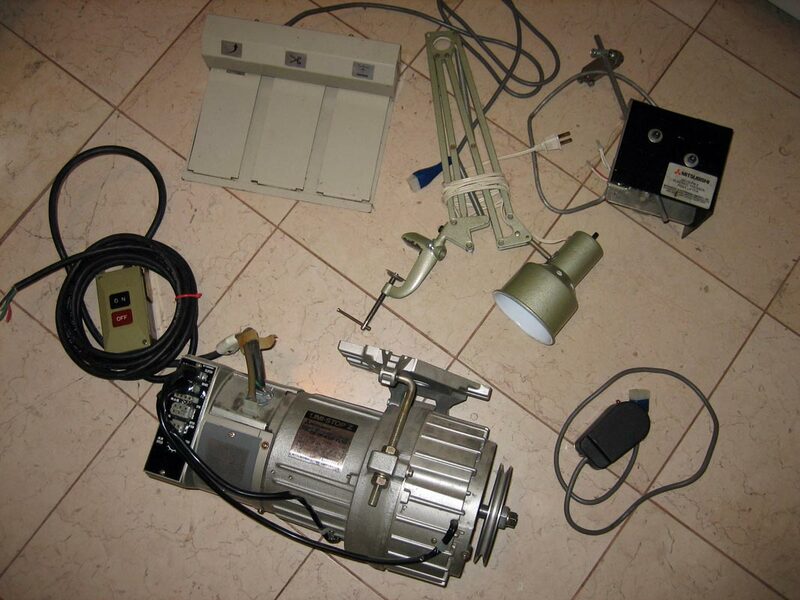 All makes and models are dealt there from Consew and Juki, to Pfaff and Singer. 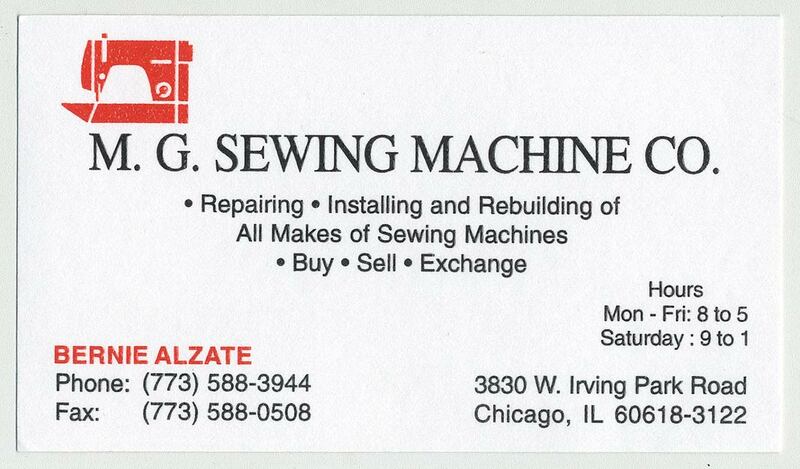 He also does very good repair work for any machines you have at home. The presser feet are generic, but a much better price than Hwangs, and the needles are a plenty, ranging in all shapes and sizes. M.G. 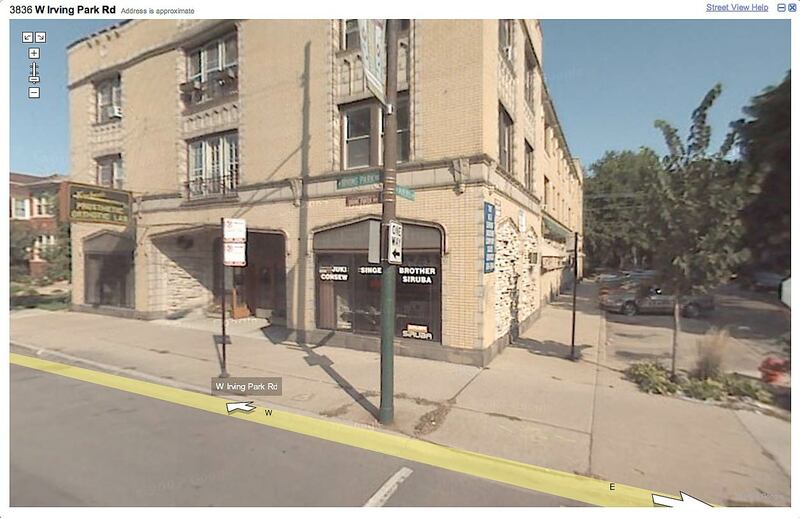 is in the first floor retail space of an old apartment building so it is easy to miss, keep your eyes peeled and find the buzzer to be let in.